No wonder we have no peace in the Middle East. 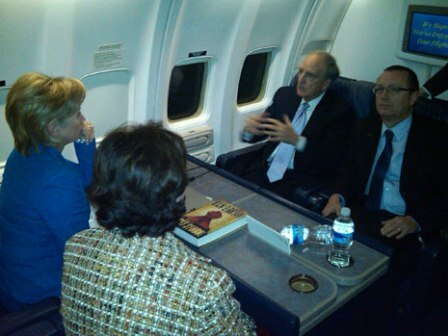 George Mitchell spends all his time with Hillary Clinton discussing the plotlines of Dan Brown novels while Jeff Feltman stares off into the distance, bored and wishing he were back in Lebanon. Shouldn't they instead be reading books like this one ? Or this one ? Or this one ? If you want to read a novel, read this one . Or this one .